You can locate an individual contact using their email address or parts of if you are unsure of the exact address. 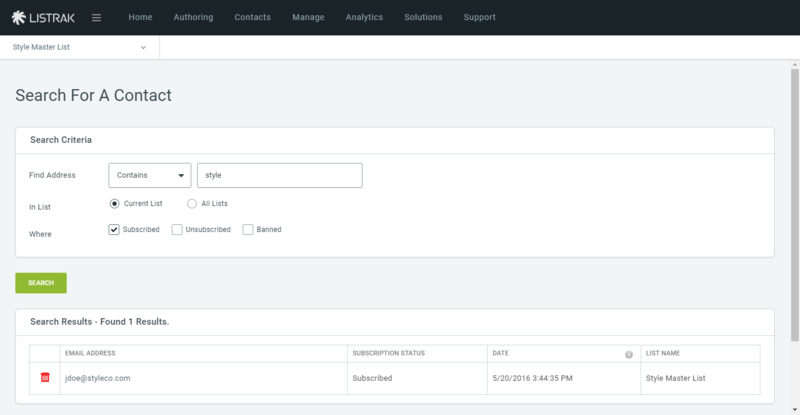 This feature can be helpful when determining whether or not an individual has been subscribed, unsubscribed, or banned, as well as what list(s) they are on. 2. Then Search for a Contact. Current List: the list that is currently highlighted in the list panel. All Lists: all lists within your account. Using exact match is very performant, next would be starts with, and then contains is not very performant. Depending on your list size, the time it takes to perform the search will be much slower or possibly fail when searching by contains. 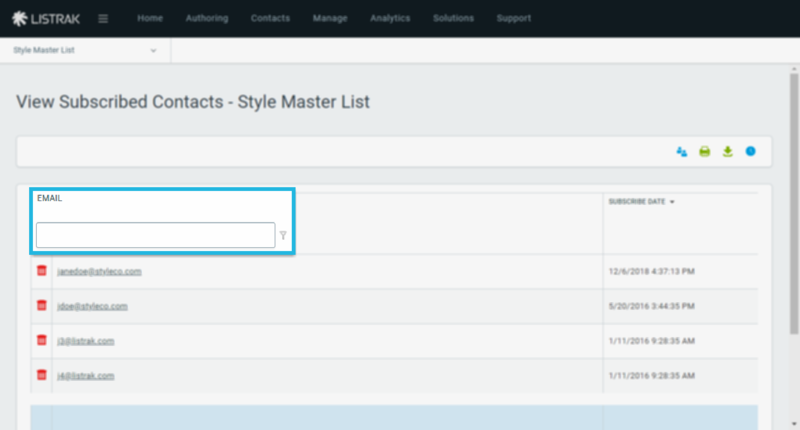 In the below example, we searched for any contact whose email address contained styleco.com on any list. We designated that the contact could be subscribed. The results returned three contacts, with varying subscription statuses, and on two different lists. Notice that jdoe@styleco.com returns two records because even though it is one person, that person is subscribed to two lists. NOTE: you will only see the lists a customer is on if you have access to that list as well. Search for a contact using the email column filter, which contains filter options for: Contains, DoesNotContain, StartsWith, EndsWith, EqualTo, NotEqualTo, IsEmpty, NotIsEmpty. 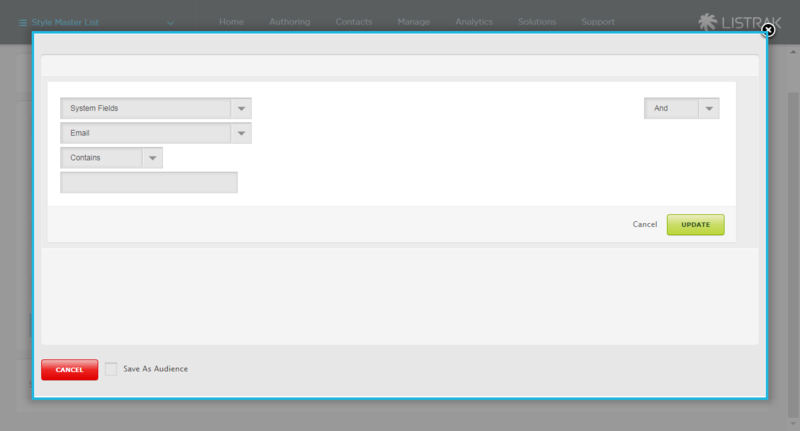 Click the Edit Filter button at the bottom of the page, then select the following from the drop-down menus: System Fields, Email, to narrow by Contains, Does Not Contain, Equals, Does Not Equal, Is In The Comma Delimited List, Is Not In The Comma Delimited List.